You have the option to cancel your sponsored recurring donation. STEP ONE: From your dashboard, click sponsorship on the far left column. Next, find the sponsorship you would like to edit. 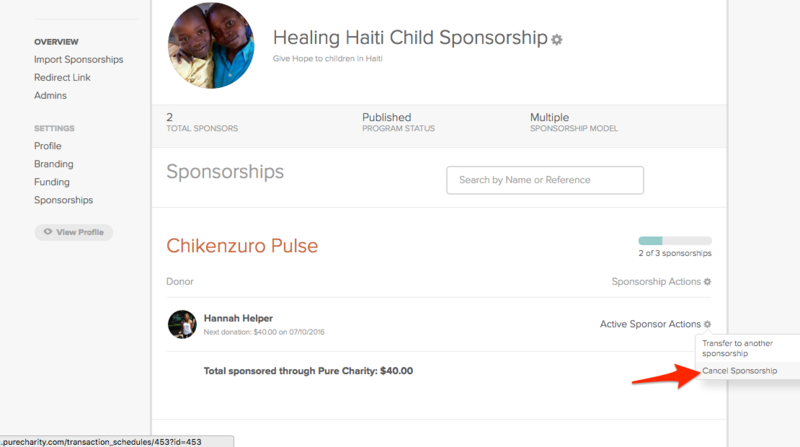 STEP TWO: Under a sponsored child, your name will appear where you donate. Select the active sponsorship actions gear hear. Click cancel sponsorship. You have now canceled a recurring donation!